When Paige Rawl was very small, she did not think anything was unusual with the fact that she had to take yucky medicine every day, and that she had frequent visits to Riley Children’s Hospital. As she got older, she realized that perhaps her situation was not a normal one, and that is when she learned she was HIV positive, and had been from birth. Her father, who had been HIV positive, had infected her mother, and then Paige, all during a time when the specifics of HIV was not well-known. 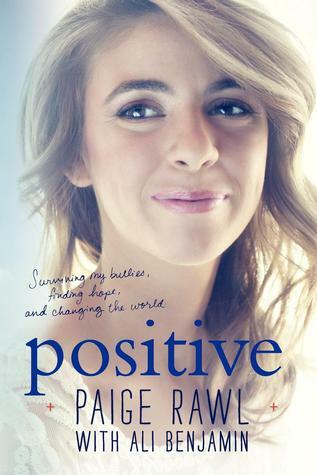 Even knowing the truth, Paige continued to live her life with joy and zest. Until one day, during a middle-school lock-in, Paige confided to a friend that she was HIV positive. The bullying started almost immediately. She was given the nickname PAIDS, lost good friends, and had teachers ignore her pleadings for help. While Paige eventually changed schools, the bullying from her middle-school years had changed her, as if a portion of the hate had burrowed deep inside her. During her time at Herron High School, a school which treated Paige with wonderful respect, Paige tried to commit suicide. It wasn’t until later, after a time in therapy and a week at Camp Kindle, a retreat for young people affected by HIV, that Paige fully understood the truth. While she had left the bullying of her former school behind, she was still letting it affect her life. In time, she came to understand how ignorant and hateful those who bullied her were, and how loving and caring her true friends were to her. And her life again became one of joy and zest. This is a wonderful book. Paige, a resident of Indianapolis, tells a tale that is full of familiar places to me, an Indiana resident. But while the places are familiar, she shows that some of these places cast dark and hate-filled shadows. She also shows us how a few key people–kind, caring, and loving people–can make a vital difference in eliminating the dark places. Paige’s story isn’t just about HIV, it’s about how bullying can happen all around us, in tiny moments of spite, and in intolerable silences. We see evidence of such bullying every day…a girl commits suicide because of online harassment after someone shares a suggestive photo, or a boy kills himself over harassment over his sexual orientation. Words matter, and how we treat other people matters. Paige, in her memoir, shows us how much it matters, and this is truth that all of us should carry with us, held deep in our hearts. This book is appropriate for young people to read, as well as adults. A Today Show book club choice, I cannot recommend this book highly enough.